The Lakers fancy themselves as the top destination for star free agents, but the Clippers have a better chance of signing Kawhi Leonard next summer according to a collection of league executives. According to ESPN’s Tim Bontemps, a survey of multiple executives over the weekend “had the Lakers trailing, even among Staples Center tenants, in the competition to get Leonard”. The Clippers were placed ahead of their more glamourous co-tenants by everyone involved in the survey. The thinking here is that Leonard would prefer to have his own team, rather than playing second-fiddle to LeBron. The Lakers attempted to trade for the LA native over the summer but the Spurs’ steep asking price prevented anything from happening. 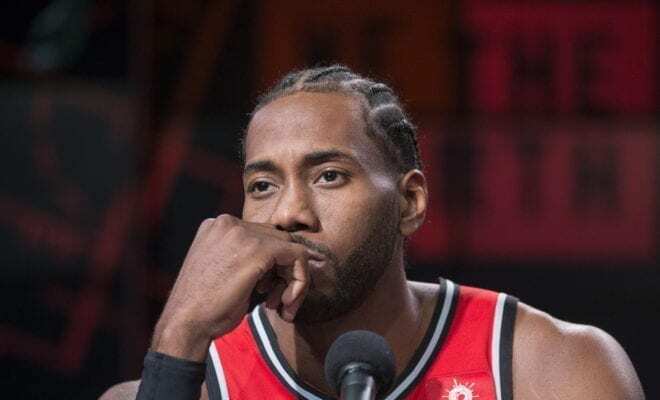 LA could always offer another trade package – this time to Toronto – before the deadline, but the Raptors are highly unlikely to accept due to their belief they can convince Leonard to stay. That would leave the Lakers simply waiting it out and banking on Leonard coming to them in free agency. But that hasn’t worked out so well for them recently, with Paul George being the prime example. Then when you throw in the Clippers as a legitimate dark horse, the Lakers could find themselves in some serious trouble, with the pressure well and truly on to provide LeBron with some genuine star power.